"Friday, before the race start, we had a structural problem with the boat and limped home from practice to assess the problem. We took the boat apart and for two days the shore team set up a temporary boat building workshop and did a great job just to get us to the start line. Throughout the race we had no problems at all and my hat goes off to our ground crew. "This is the third go at winning this race and three is the beauty! This is the third Bella Mente since 2006 and the majority of this team have been with me for at least five years - it is an outstanding group of guys. They like each other, we have a good time together - they are all mates. Everybody puts safety first, that's the way it should be offshore, but after that we push to the limit. "This race is a series of sprints and every leg is different, you are trying to get out of the blocks at the start of each segment and as soon as you get going, you are looking to get to top speed without increasing the distance sailed in that quest for boat speed. We try to make a couple of minutes up at every corner - with 12 corners if you save three minutes a corner then that makes a real difference to your finish time. Everybody works together, it is our big strength; the crew did a phenomenal job." Bella Mente's British navigator, Ian Moore, spoke about a crucial part of the course. Nicknamed the 'Guadeloupe Casino', the wind shadow of Guadeloupe can make or break a performance as the largest and tallest island on the course can be an unforgiving trap. "We knew that the wind direction would flick to the south east just as we were arriving at Guadeloupe and,although we were looking at the current situation, we had pretty much made the decision to take our chances by going inshore. In the past, we have had some bad experiences going offshore, if you run out of wind you can get trapped for a very long time. I would give Bella Mente's performance in the wind shadow a solid nine out of ten, we did really well but we had to fight for it and use all our skill to keep the boat going. Moose (Mike Sanderson) was driving, Terry (Hutchinson) and Ado (Adrian Stead) had their eyes out of the boat and I was just giving them the numbers and I believe that combined tactical sailing knowledge got us through." "It was a great race at the end of the day and we had Maserati to race with some of the time. To be boat-on-boat with a Volvo 70 was a nice surprise. We have worked on the boat very hard since we were here last year. Hap loves this race and it was very pleasing for us sitting on the dock feeling that we didn't leave anything on the table. This was one of our best overall performances. We have two big races this year; the RORC Caribbean 600 and the Rolex Fastnet and we have produced a sail programme that covers the range well for those races. At one point we went through the lee of Leopard, reaching with a jib-top. Leopard is a fast 100 ft canting keel boat, so we are really excited at how well Bella is going with its new mast and new sails. We have done a lot of work on the aero-package and the boat feels great and she is going quick but we are really ringing its neck. To be honest the boat is pretty cranky and very physical. It is some of the most physical keel boat sailing that we do because you are muscling a windward leeward orientated boat around a reaching course, so it is tough on the wheel and there is a lot of grinding for the big boys." 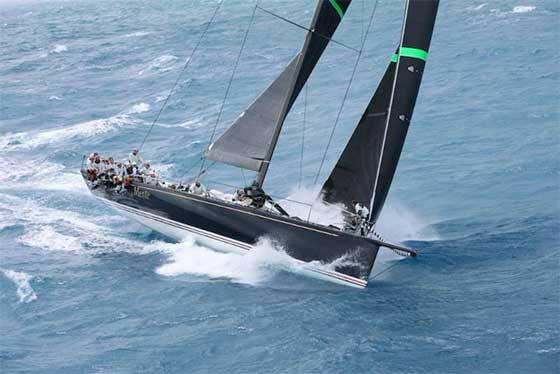 Bella Mente has become the third Maxi 72 to win the race overall and the fifth American owner to win the RORC Caribbean 600 Trophy. 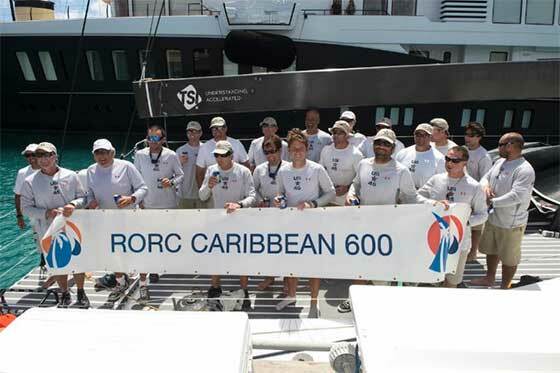 The RORC Caribbean 600 Prizegiving will take place on Friday 27th February at the Antigua Yacht Club. Bella Mente Crew: Owner Hap Fauth, Thomas Allin, James Baxter, Michele Cannoni, Carlo Castellano, Sean Clarkson, Sean Couvreux, James Dagg, Federico Giovanelli, Peter Henderson, Terry Hutchinson, Keats Keeley, Brian Macinnes, Craig Monk, Ian Moore, Michael Sanderson, Matt Smith, Adrian Stead, Morgan Trubovich and Jim Turner.